was that equilibration was death. Regarding, as I had done, equilibration as the ultimate and the highest state of society, I had assumed it to be not only the ultimate but also the highest state of the universe. And your assertion that when equilibrium was reached life must cease, staggered me. Indeed, not seeing my way out of the conclusion, I remember being out of spirits for some days afterwards. I still feel unsettled about the matter, and should like some day to discuss it with you. It is difficult to behold Spencer’s dismay without a modicum of vindication. From at least as early as Richard Hofstadter’s Social Darwinism in American Thought (1955), which connected his evolutionary sociology to a variety of more or less totalitarian twentieth-century worldviews, our culture has been accustomed to regard Spencer’s remarkable celebrity as one more Victorian faute de goût. Yet where Spencer’s notion of equilibrium (“the ultimate and highest state of society”) sought to balance the economic laws of supply and demand, or competing class interests, the second law of thermodynamics (to whose consequences his letter refers) identifies it rather with the inexorable cooling of the universe into dispersed entropic heterogeneity. However bleak that eventuality appears, we might at least derive consolation from the fatal compromise of Spencer’s teleology. Only in 1873, however, would Spencer return directly to the dispiriting second law, engaging in an exchange of letters with James Clerk Maxwell, to whose credentials Tyndall had earlier appealed. The debate hinges on the best way to account for the kinetic motion of gases, which Maxwell was in the process of investigating. Spencer, who was always a popular expositor and synthesizer rather than a true experimentalist, suggested that his own philosophical concept of “the instability of the homogenous” might usefully describe what Maxwell had termed “agitated” fluctuations. Even molecules whose paths diverged significantly from the overall distribution within a stationary container could, Spencer continued, be described as “rhythmical,” to the extent that we could measure divergence itself. If, as I understand the word rhythmic, it implies not only alteration, but regularity and periodicity, then the word “agitation” excludes the notion of rhythm, which was what I meant it to do. . . . A great scientific desideratum is a set of words of little meaning—words which mean no more than that a thing belongs to a very large class. Such words are much needed in the undulatory theory of light, in order to express fully what is proved by experiment, without conceding anything which is a mere hypothesis. Maxwell’s desire for linguistic hygiene is quite justifiable: no one wants a concept of rhythm capacious enough to include everything, and thereby nothing. Yet the language game over “agitation” or “rhythm” masks a serious question: to what extent can we measure divergence? Such questions still hold purchase for any attempt to measure the probability distribution of stochastic processes or turbulent flow. We can replay the same thought in a metrical key: to what extent can a given poem tolerate inversion, syncopation, or disappointed expectation before such deviations abolish the pattern or norm from which they spring? My analogy is purposefully leading. For although thinkers such as Gillian Beer, Michel Serres, and Bruce Clarke have traced at length the broad cultural (and literary) response to the second law of thermodynamics, we have yet to grasp the extent to which the specter of entropy engaged the concept of rhythm in general, and the practice of poetic rhythm more specifically. It can prove difficult to grasp the full extent of this conceptual transformation, in part because the notion of rhythm has become so essential a part of our conceptual armature that we struggle to imagine things ever having been different. Yet different they were. The word “rhythm” is in fact conspicuous by its absence prior to the nineteenth century: across the whole of Eighteenth Century Collections Online (which numbers more than 150,000 documents), only 257 texts contain the word “rhythm”; compare this to 6,854 texts that employ the word “metre,” despite the latter word’s appearing to have a narrower extension. This quantitative trend reflects qualitative differences: in keeping with the pattern, Samuel Johnson does not define “rhythm” in his Dictionary of 1755–56. He does, however, define “rhythmical,” and in rather striking terms: “Harmonical,” runs Johnson’s minimal gloss, “having proportion of one sound to another.” In the space of a century, then, definitions of the term have moved nearly full circle: from Johnson’s harmonious proportionality, we move toward Spencer’s conflictual disequilibrium. In this essay Ewan Jones argues that the cultural reception of thermodynamics in the late nineteenth century reformulated the concept of rhythm in an attempt to manage, mitigate, or acknowledge the problem of waste. Having demonstrated an overlooked historical dialectic between the thermal sciences and prosody, he concludes by reading A. C. Swinburne’s Tristram of Lyonesse to demonstrate how rhythmical excess represents a positive expressive resource. 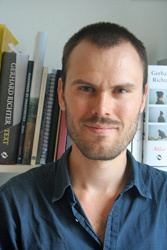 EWAN JONES is Lecturer in Nineteenth-Century Literature at the University of Cambridge and a fellow of Downing College. He is the author of Coleridge and the Philosophy of Poetic Form (Cambridge UP, 2014) and is currently completing a second book on the history of the concept of rhythm in the nineteenth century.